Two weeks ago, Josh was lucky enough to of won a trip with one of his top suppliers to the Caribbean. This part of the world is hardly touched by Australians and when he was told about this he was over the moon. With the courtesy of the Ministry of Tourism Dominican Republic and Pulse Holidays, four travel agents from Australia whom had never met one another, one tour leader and two government officials set off for a jam packed two week trip around the Caribbean. From the moment they arrived, they were treated like royalty which was just such an amazing experience. Every province they stayed at had such a different feel from the last. 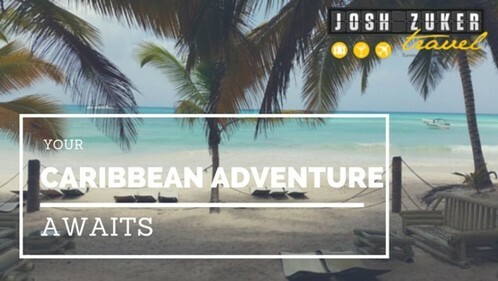 Josh can say without doubt that the Caribbean definitely offers so much for everyone from the budget, family, couples and for the rich and famous. Santo Domingo has such a Spanish feel and when Josh was walking through the streets he passed locals working on the street trying to earn a dollar either selling goods or products but without doubt these locals were happy, even if the wages are so low and poverty occurs. The colonial city is a must see on anyone’s bucket list. Cabarete is for anyone that just wants to escape the world and have a very relaxing holiday with a lively atmosphere. The restaurants, cafes and bars located on the beach were just amazing and this was definitely a huge highlight of the trip. Puerto Plata and Punta Cana are catered for those families, couples and groups who want the all inclusive and the overall resort feel. Puerto Plata is a beautiful scenic area with picturesque beaches with a breathtaking mountain backdrop. Punta Cana, the easternmost tip of the Dominican Republic, abutting the Caribbean Sea and the Atlantic Ocean, is a region known for its 32km stretch of beaches and clear waters. La Romana was where we had stayed at Villa Casa De Campo (our multi-million dollar) villa. This estate is huge, and caters for so many. Experience the best selection of luxury private villa rentals, golf and fine dining in Casa de Campo, Dominican Republic. The trip wasn’t just having amazing experiences and seeing what this amazing country has to offer as work was to be done too with a number of hotel inspections and also sales dinners with hotel staff. The Caribbean is a far distance from Australia, however, Josh strongly recommends checking this part of the world out one time in your life. For more information on the Caribbean or to book call Josh now on 1300 761 901!